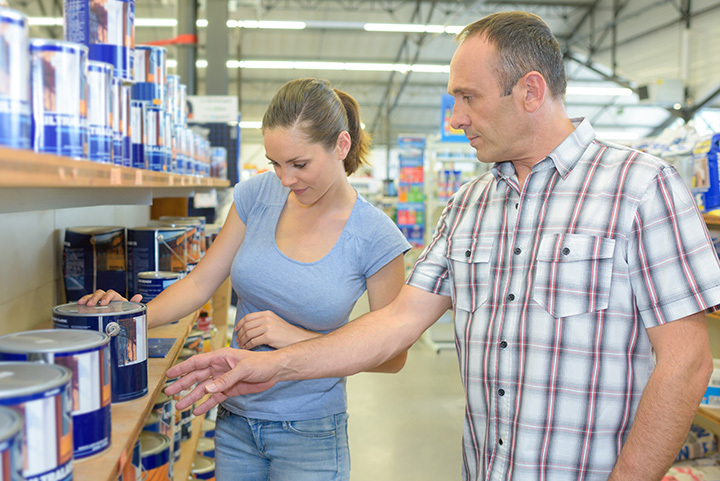 Whether it’s a home improvement project, repairing a leaky sink, or you’re looking to fix up that shed in your backyard, there comes a time when everyone needs to find a good hardware store. The down-home feel and expertise of a local hardware store is irreplaceable. In Michigan, we have plenty of these. Here are the 10 best. Menards has locations across the country, but the recently-constructed Three Rivers location really makes a name for the store. This particular location is actually one of the largest Menards entries in the United States, with figures putting it around 200,00 square-feet. The largest Menards stores come in around 240,000 square-feet, reports note, so checking out this major new construction in a comparatively small city like Three Rivers will be exciting in its own right! They also sell anything and everything you could possible need, from kitchen supplies, to plumbing, paint, storage and electrical. A simple operation in Holland, Van Wieren Hardware can successfully trace its lineage clear back to 1948, and has the pictures to prove it. While things have changed substantially since those days—gas pumps, for example, are no longer in attendance—Van Wieren can still be counted on for many common lawn and garden needs, household needs, and even some special decorations for the Christmas season. A small-town store made good, Van Wieren's got plenty going for it. A long-time mainstay in Marshall, Herman's Marshall Hardware boasts a wide variety of hardware store staples, and some material that's hard to find just about anywhere else. Check out Herman's for items like hanging baskets, apparel, and even some special items found almost at random. The store has been in place since 1971, and delivers value routinely even in an age of big-box stores and online shopping. Gill-Roy’s Hardware represents something unusual: almost a completely Michigan-only hardware chain (save one location in Peachtree City, Georgia). With 25 stores in Michigan—and the 26th store in Georgia—Gill-Roy’s is like a small-scale big-box store that's been operating since 1945. With a connection to Do it Best Corp, Gill-Roy’s has access to much larger ranges of supplies than many of its competitors, backed up by the hometown spirit that only a small-town firm can commonly generated. Over 67,000 products are on hand from building supply to hardware supply, so most anything you could ask for is at Gill-Roy’s. Ada's Godwin Plumbing has been supplying hardware needs to Grand Rapids and the surrounding area for over 60 years. Operating since 1955, Godwin Plumbing has brought a lot of new products into its operation since its inception, and now offers everything from lawn and garden to plumbing services. Further, its heating and air conditioning services have also provided value to area residents, and adding in water treatment systems only makes sure Godwin's keeps the whole house operating. Gemmen's in Hudsonville traces its lineage back to 1955, when founder Al Gemmen purchased Meyer's Hardware, a store which at the time focused on plumbing supplies. Fast forward 62 years and today Gemmen's a a major name in Hudsonville, offering a wide array of products with support from Do it Best hardware. A price matching guarantee as well as online coupons make the wide product selection all the better thanks to some excellent pricing. Royal Oak's Frentz & Sons Hardware actually managed to land a nod from Popular Mechanics as one of the best hardware stores in the United States. Given how many of these stores are around, that's a pretty big deal, and makes this one something to consider. From specialty plaques to bulk kerosene, Frentz & Sons stocks a staggering array of materials and can get others as needs require. Perhaps best of all is the service desk, permanently staffed with three knowledgeable individuals ready to provide exactly what's needed, from where to find a thing in store to what to do with it once found. Grand Rapids is home to Modern Hardware, a place which offers “West Michigan's largest selection of decorative and builder hardware.” A tall claim, but it backs up said claim with a wide array of departments and items to choose from, ranging from hinges to locks to brackets and fasteners, and of course other hardware from electrical to even grill supply. With all these tools in one place, any claims it makes about its quantity should probably be treated as valid. Fennville's Dickinson True Value landed a nod as one of the greatest hardware stores in the United States from SBC Magazine in 2012, mostly due to one major incident: when a local youth basketball player scored a winning basket just seconds before dying of a heart attack, Dickinson put on a fundraising event to help benefit the organization that bought Automatic Electronic Defibrillators (AEDs) for all youth sports events. Beyond that, you'll find a wide array of items here and knowledgeable folks warning you about things like tiny eggs in your shrubbery. Called the Biggest Little Store in the North, Empire's Anchor Hardware offers a healthy variety of hardware and similar supplies, as one might expect. Featuring camping supplies, sporting goods, keys and souvenirs, there's a lot going on here. Check out the Used Tool Swap Meets that take place there occasionally, allowing enterprising handymen to not only get rid of tools that no longer have value cluttering up the joint, but find some new-to-them tools at a much better price than picking them up brand new.